An informal reception will follow the Bravo! Vail Holiday Sing-Along on Friday, featuring hot chocolate and holiday cookies provided by Westside CafÃ©. What: Bravo! Vail Holiday Sing-Along. When: 6 p.m. Friday, Dec. 16. More information: No RSVP necessary. VAIL — Bravo! Vail Music Festival will host its annual free community Holiday Sing-Along on Friday at 6 p.m. at the Edwards Interfaith Chapel. This event is open to individuals and families of all ages and will feature an evening of singing favorite holiday songs and carols, followed by an informal reception for all participants. Almost 200 people attended the warm-hearted holiday celebration last year, said Elli Varas, Bravo! Vail director of operations. This event is open to anyone who wishes to make music and celebrate the holiday season with the Vail Valley community. Musical selections will range from classic carols to modern holiday pop songs, and attendees will receive a Bravo! Vail songbook when they arrive. The event will feature four professional singers from the Front Range — Emma Vawter, Jenna Clark, Andy Lee and Matthew Stewart — as well as pianist Mac Merchant. Kevin Padworski, artistic director of the Colorado Chorale, has curated the event. 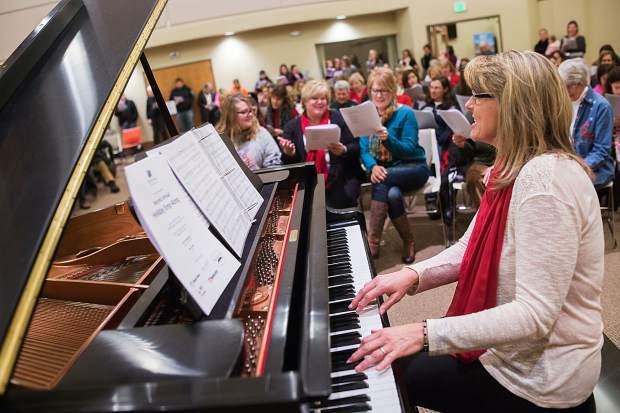 Attendees can expect a mix of traditional carols and family favorites to sing along to, as well as a few numbers performed by the vocal quartet. An informal reception will follow the event, featuring holiday cookies provided by Westside Cafe. Hot chocolate will also be provided. This will be the festival’s third annual Sing-Along event.